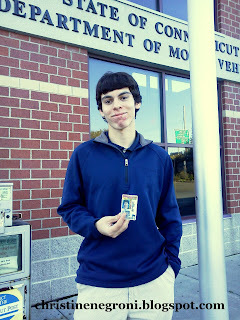 Well, with a great sigh of relief and a "our work here is done" my 16-year old son Joseph got his learning drivers permit at the Connecticut Department of Motor Vehicles on Tuesday. But it was dark by the time we turned onto the street where we live so that when Joseph asked if he could drive the rest of the way home, I had to weight the risk: reduced visibility, no sidewalks and pedestrians walking home from the train and his inexperience driving a manual transmission car. So I told him "no". Of course he was disappointed, but all my neighbors are still alive and so is he. So why oh why, didn't the managers at Colgan Air do the same risk benefit analysis in deciding whether 47-year old Marvin Renslow was ready to be the pilot in command after a slew of performance evaluations showed less than stellar piloting skills? Oh wait. They did. Only in their case, as a series of internal company emails show, they cast those concerns aside. 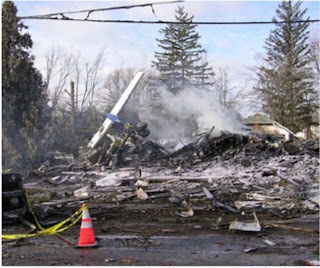 The emails, were obtained by Hugh Russ, an attorney representing families of some of the 50 people who died in the crash in Buffalo, New York on Colgan Air Continental Connection flight 3407 on February 12, 2009. You can read the emails here. A spokesman for Colgan says this is old news, that the airline informed the NTSB before the board came out with its finding of probable cause in February 2010. Whether it did or whether it didn't, it's important not to get bogged down with the shocking specifics of this particular revelation because it is just the latest of a series of alarm bells that have been going off concerning Colgan, its parent, Pinnacle and the regional airline industry as a whole. Just last week, the Federal Aviation Administration fined Pinnacle $1 million for defying a government prohibition on allowing flight crew to perform maintenance work and flying a Canadair Regional Jet 40 hours past a mandatory engine inspection. What's 40 hours you might ask? Well, the inspection was to track the propagation of a crack, that did indeed grow while Pinnacle was heedlessly flying the airplane in passenger carrying service the last week of August 2010. This is just a few months after the hearing into the Colgan crash where executives of Colgan insisted safety was their highest priority. The same airline who's safety director admitted during the hearing that he had never heard of James Reason, the grand-daddy of human factors and a legend among safety specialists. Doing the rounds of the television networks after the emails went viral this week, attorney Russ told one interviewer, "Colgan sacrificed safety for profit." He's giving the airline credit by assuming it had safety practices to sacrifice. But lest this rant be perceived as solely focused on Colgan/Pinnacle, throughout 2009 and 2010, I wrote just some of a blizzard of articles that included the excellent Frontline report Flying Cheap, and a lengthy story in the Wall Street Journal. All delved into the many factors making regional airline operations so unsafe. 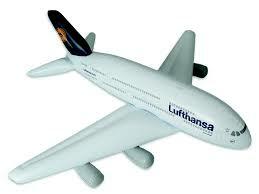 (see my list of accidents since 2000 below) But the focus has narrowed to efforts to require minimum hours for pilots. I've not seen any indication that regional airlines and their relationship to large airlines has fundamentally changed. Mr. Russ told the interviewers, his goal "is to change airline safety and only by bringing these emails to the light of day can we meet that goal." Nice plan, but after this latest stunning news fades from view, he's got his work cut out for him keeping this story on the front burner. How did Renslow go from being off the list to crashing the Q400 as its captain? Please keep reporting on this case, it's too distressing to sweep aside as old news. Their safety director never heard of James Reason? That would be like a chef never hearing about eggs.